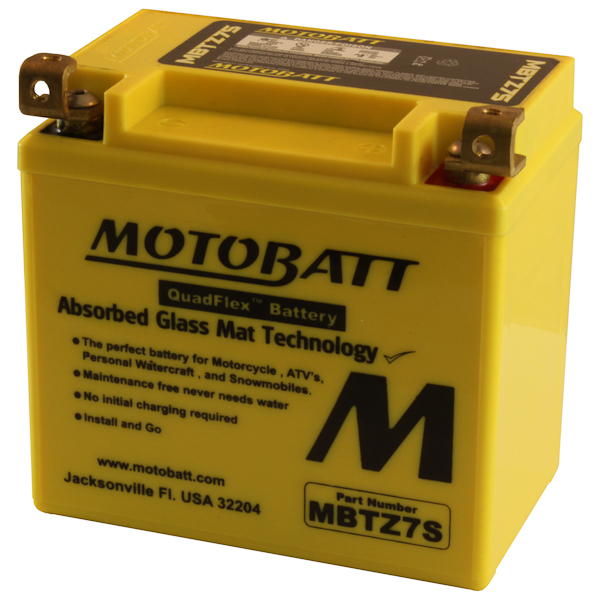 The re-invented MotoBatt MBTZ7S delivers the PowerSports "Triple Threat" of high Vibration, high starting loads and additional high powered accessory loads. 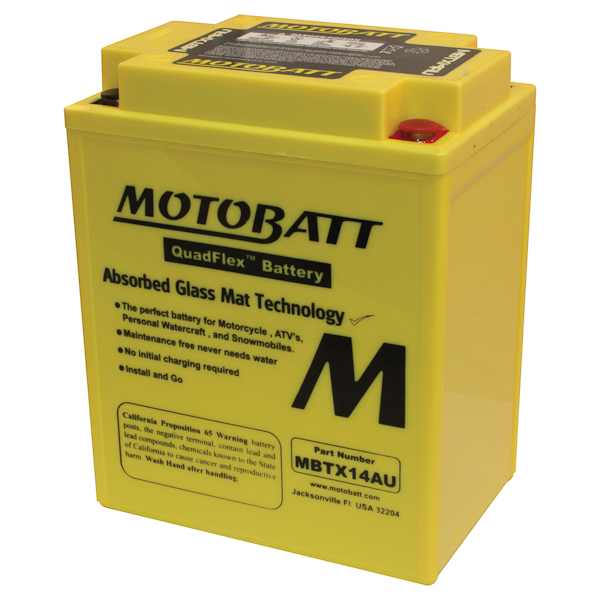 With the MBTZ7S 12V 6.5AH battery, you're not going to fall into the typical PowerSports battery designs available on the market today - which have not changed for many years. 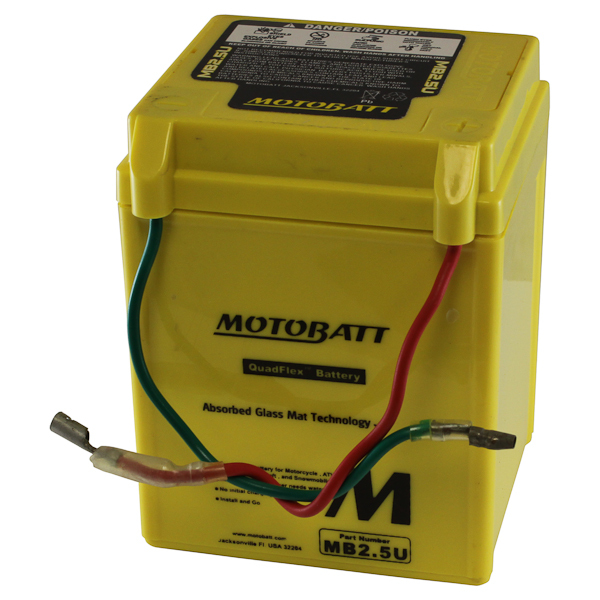 The MBTZ7S is the perfect battery for motorbikes and comes with 4 posts now, so that you can evenly distribute the load across the product and not overload single terminals. 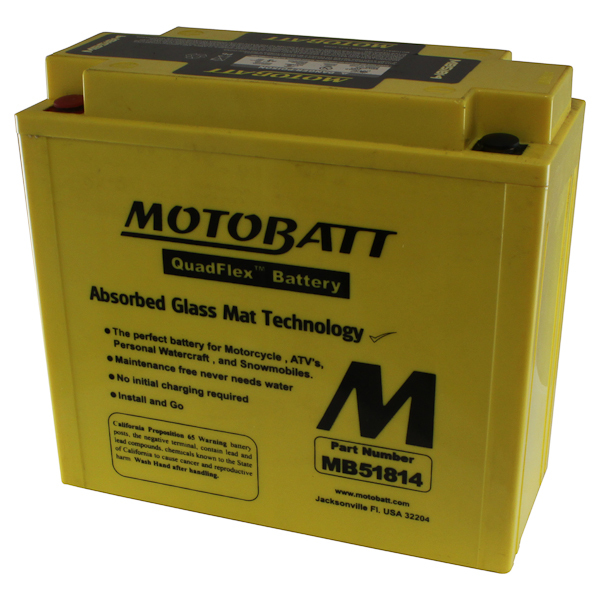 With a two year free replacement warranty, the competition doesn’t stand a chance when it comes to performance, reliability, and service. 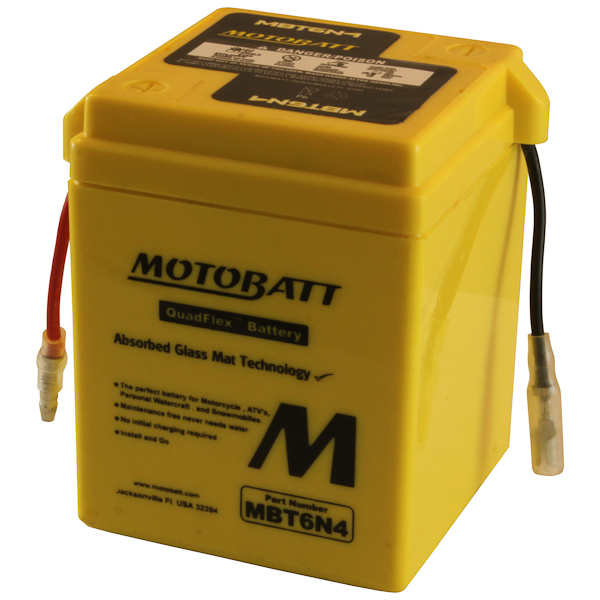 Order one today!